The remake remains a beautiful ride and the computer-generated imagery is out of this world. 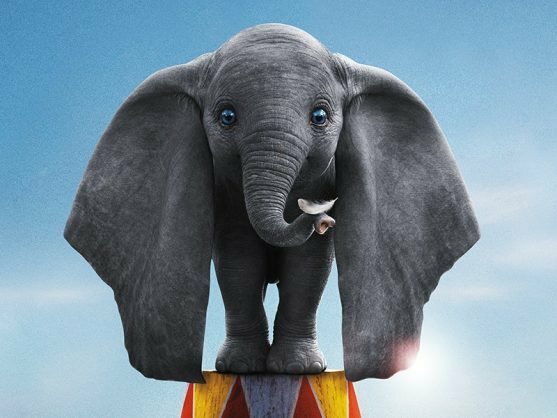 ENTERTAINMENT NEWS - Celebrated director Tim Burton has added his own quirky touches to a revamped version of the renowned tale of Dumbo, the little elephant with gigantic ears who could fly. Disney’s original 1941 animated version is a classic and it’s taken a genius of the Burton mould to let it soar again. It is now a bold, exciting and colourful escapade that will settle in the hearts of young and old. Mixing live action with a soulful and adorable computer-generated animal works exceptionally well and the players fill their respective roles admirably. Though there is a dark side to the storytelling, it nevertheless has an enchanting quality to it. Teaming up with screenwriter Ehren Kruger, Burton has taken the concept and maximised it for the 21st century. This version is different from the 1941 film. Apart from the obvious in that it is not animated and does not have any songs, this Dumbo embraces an entirely new story. It does, however, retain three essential elements. These are that Dumbo is a big-eared elephant who can fly, that he is born into a circus and that he is separated from his mother. 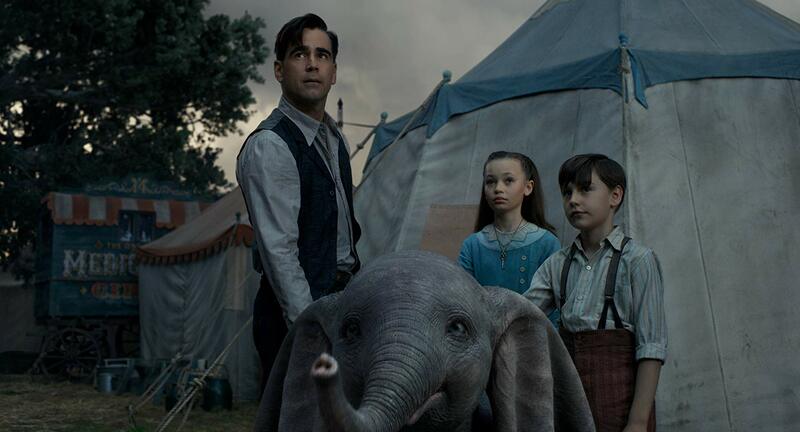 Set in 1919, a father, Holt Farrier (Colin Farrell) comes home from World War I to his two children, Milly (Nico Parker) and Joe (Finley Hobbins) who have also been separated from their mother.She died in the terrible flu epidemic. He works in the circus, where one day an elephant gives birth to a very big-eared baby. They name him Dumbo. The baby elephant’s ability to fly by flapping his ears is discovered by the children. This skill comes to the attention of Max Medici (Danny DeVito), the circus owner who sees a great opportunity to pull his failing circus out of debt. VA Vandevere, the wealthy owner of a bigger circus, played with evil energy by Michael Keaton, makes Max an offer he cannot refuse and his dingy circus becomes part of a bigger, smarter entertainment organisation. But foul things are afoot. The new people couldn’t care less about the welfare of the flying elephant, or Max and his staff. The original Dumbo was about an underdog achieving status for the thing that once made him an outcast, but the new version flies off in another direction. 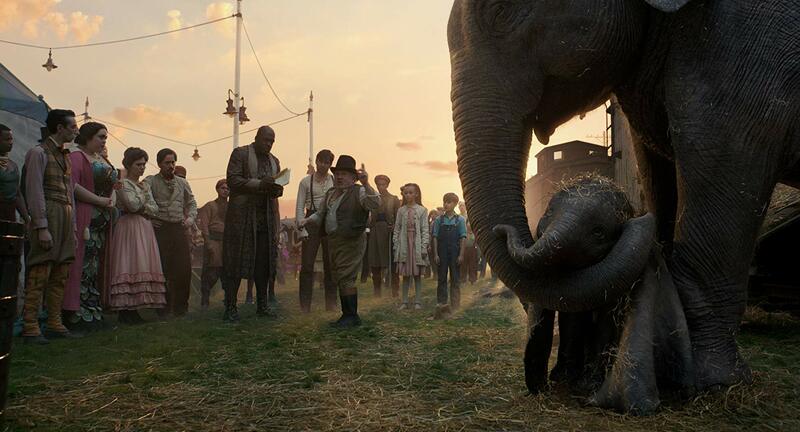 However, Dumbo remains a beautiful ride and the computer-generated imagery is out of this world.